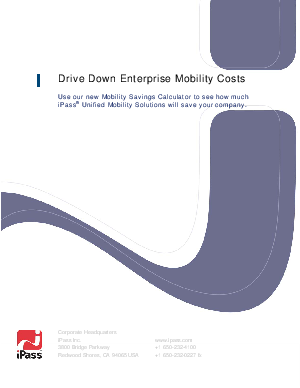 In this Webcast, Brownlee Thomas, Ph.D., Principal Analyst from Forrester Research, Inc., talks about current enterprise mobility trends, shows you what other companies are doing in response to these trends and gives you best practices for reducing your own mobility costs. Don't miss this timely and insightful Webcast. It's certain to be the most valuable 35 minutes of your day.